Researchers of CCMIJU led by Verónica Crisóstomo, Scientific Director of NANBIOSIS U24 Medical imaging, and Javier García Casado Scientific Director of NANBIOSIS U14 Cell Therapy unit have carried out a study study aimed to identify which are the very early immune-related biomarkers that may be used as predictors of myocardial infarction severity. 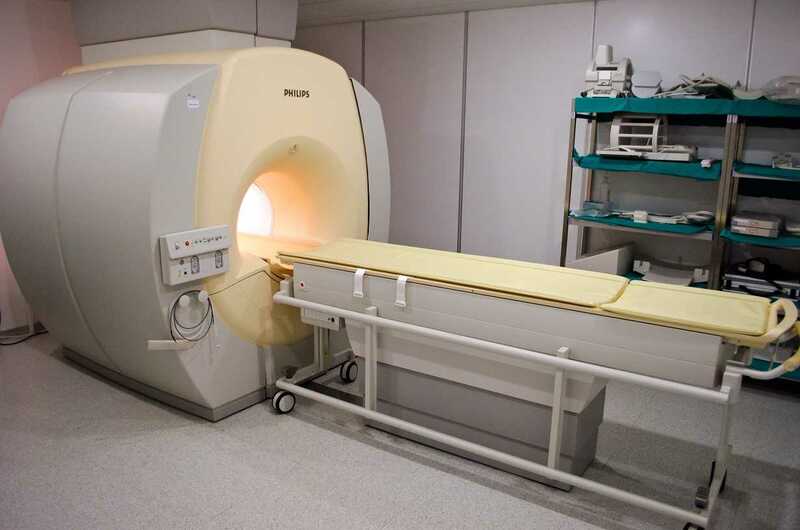 Experimental studies have been conducted by NANBIOSIS Units 14, 21, 22 and 24 of the CCMIJU, clinical test lab, animal housing, experimental operating room and medical imaging tecniciansare are recognized in the acknowledgement and funding sections of the article. With this new tensiometer automated and high precision measurement of surface and interfacial tensions, contact angles and critical micelle concentrations will be obtained. 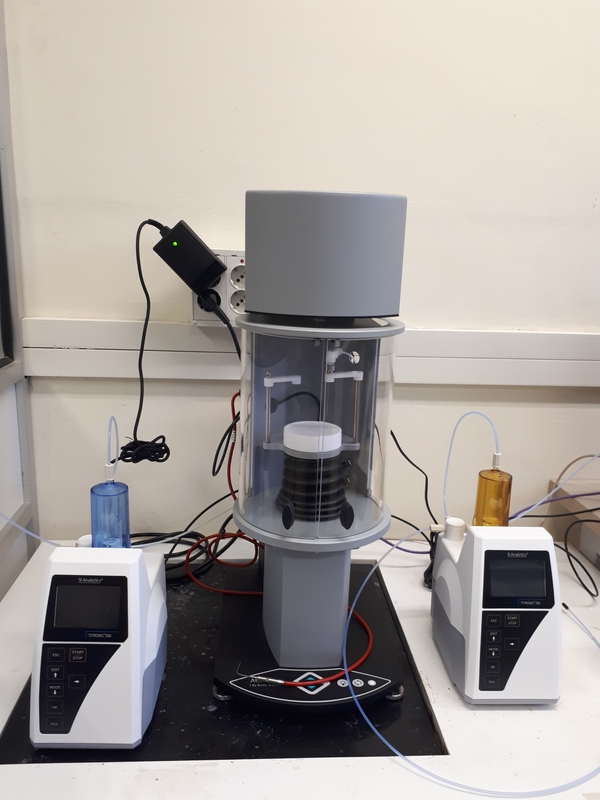 The purchase of the new tensiometer has been co-funded by the CSIC through a grant received from the Scientific and Technical Services support (MEC1372). 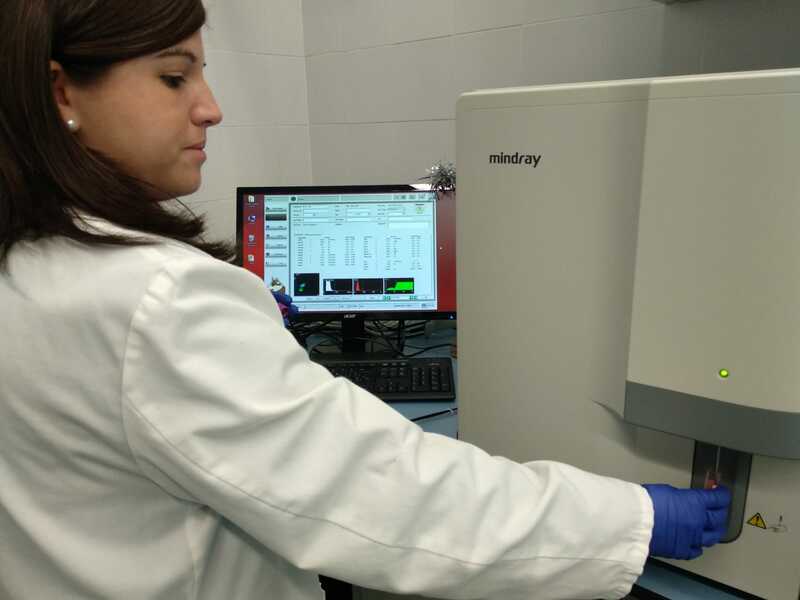 NANBIOSIS ICTS coordination equipment has recently received from researchers of Human Molecular Genetics Group of Bellvitge Biomedical Research Institute (IDIBELL) a publication mentioning NANBIOSIS in the Acknowledgements for its participation in the results of its investigations. The article has been publish by the journal Human Reproduction of OXFORD UNIV PRESS with Quartile 1/ Decile 1. 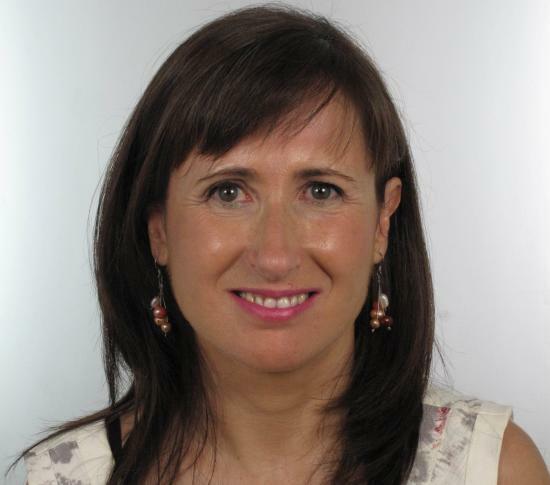 The study carried out by Maria Barcelo, Ana Mata, Lluís Bassas, and Sara Larriba demonstrates the potential of several miRNAs contained in small extracellular vesicles (sEVs) of seminal fluid as sensitive and specific biomarkers for selecting those azoospermic individuals with real chances of obtaining spermatozoa from the testicular biopsy. 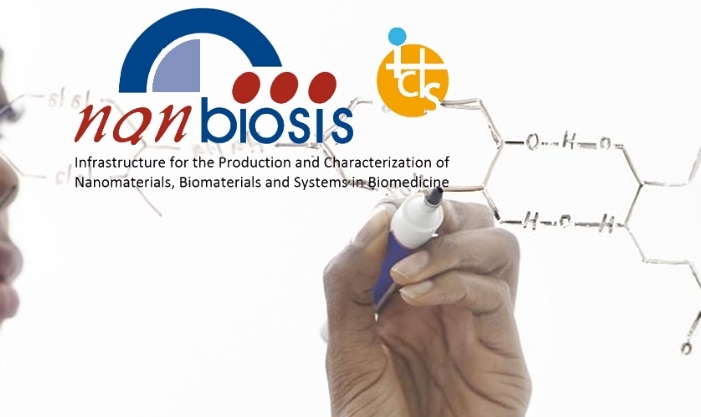 The nanoparticle tracking analysis was performed by the ICTS NANBIOSIS U6 Biomaterial Processing and Nanostructuring Unit. 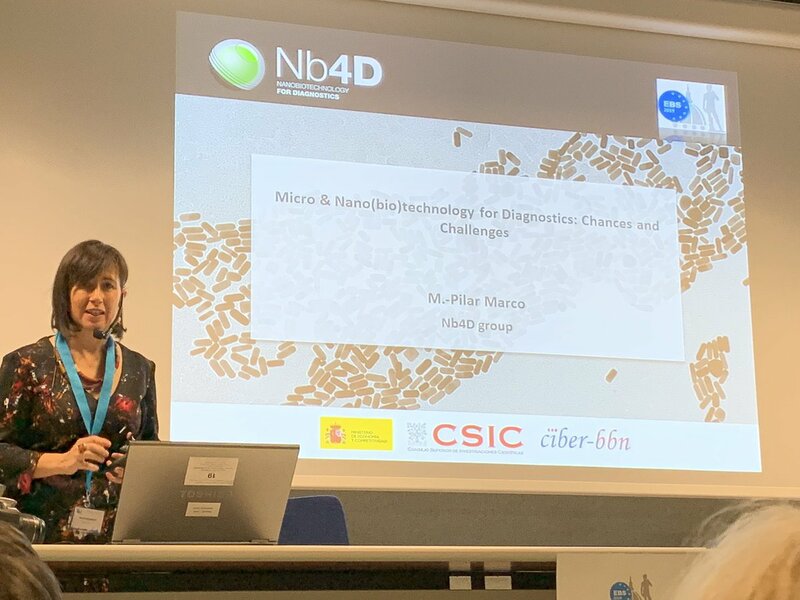 Pilar Marco, Scientific Director of NANBIOSIS U2 Custom Antibody Service (CAbS) participated as Keynote speakers at the Second European Biosensor Symposium (EBS2019) taking about “Micro & nano(bio)technology for Diagnosis: Changes and Challenges” at the 2nd European Biosensor Symposium 2019 that took place in Florence (Italy) Last February 18-21. Pilar Marco spoke abaut the changes ocurred on the field of Diagnosis since the days of “house calls”, relying primarily on physical examination, to nowadays in which a wide portfolio of biochemical analytical tests is available, and pointed out the challenge to improve knowledge in microfluidics, lab-on-a-chip technologies, system integration, device automation, and signal readout, as well as simultaneously measure distinct sets of biomolecular features on a reproducible and reliable manner. Prof. Marco also gave some examples of technological alternatives to circumvent these limitations in the clinical diagnostic field. The European Union highlights the relevance of the JUMISC’s Cutting-Edge Infraestructures and Technology, recognized as ICTS. 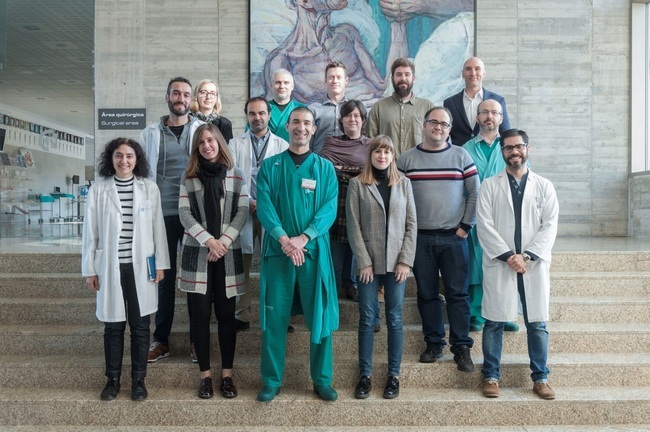 Jesús Usón Minimally Invasive Surgery Center (JUMISC), from Cáceres, partnert of NANBIOSIS, has recently made headlines on the website of the European Commission as an innovative center for Biomedical and Health Research. 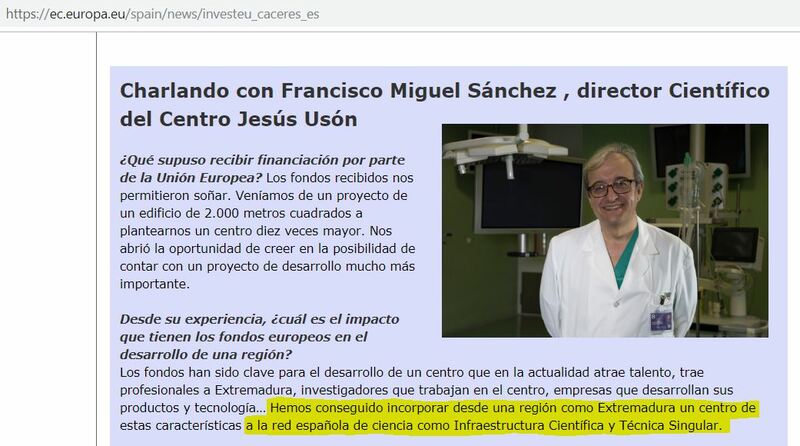 In the interview to his Director, Francisco Miguel Sanchez Margallo, he explained how European Funds allowed Infraestructures and Vanguard Technology for biomedical research at the CCMIJU, which have already been recognized, as part of NANBIOSIS, with CIBER-BBN and BIONAND, as “Singular Scientific and Technical Infrastructure” (ICTS). Beatriz Moreno Lobato and Francisco Miguel Sánchez Margallo, Scientific Director and Coordinator of NANBIOSIS unit 19 Clinical tests lab at CCMIJU, have reclently published an study in the journal Thrombosis & Haemostasis: Research, with the aim to contribute with methodological results data to help the researcher to establish the validation of the analytical methods used within the research. Good Laboratory Practice (GLP) is a quality system of management controls to ensure the uniformity, consistency, reliability, reproducibility, quality, and integrity of pre-clinical safety tests. In the study, different hematological parameters (WBC, RBC, HB, HCT, MCV, MCH, MCHC, and PLT) were validated in pig, sheep, dog and rabbit, calculatting the repeatability and the intermediate precision . The obtained results were statistically analyzed; the mean, the standard deviation and the coefficient of variation were calculated. The study results ensure the quality and integrity of the measurements obtained in the CCMIJU Clinical tests lab (unit 19 of NANBIOSIS), which is necessary in the performance of preclinical studies. Article of reference: Moreno-Lobato B and Sánchez-Margallo FM. Analytical Validation Study of Hematological Parameters under Good Laboratory Practice Regulations in Different Laboratory Animal Species. Thromb Haemost Res. 2019; 3(1): 1018. In the interview, among other topics Prof. Pilar Marco talks about diagnostic devices based on nanobiosensors and the extraordinary impact that these technologies could have on health in the coming decades. Her research group Nb4D (Nanobiotechnology for Diagnosis) has an important collection of specific antibodies for different biomarkers and the CIBER-BNN/IQAC-CSIS platform CAbS (Custom Antibody Service) that constitutes the unit 2 of NANBIOSIS, they offer the possibility of producing specific and immunoreactive antibodies with the necessary expertise to generate antibodies “a la carte”, that is, being able to modulate to some extent the affinity and selectivity of these biomolecules, depending on the needs of each project. “And we do this, -Prof Marco explains- not only for molecules with high immunogenic capacity such as most proteins, but also for low molecular weight molecules, which in themselves are not capable of generating an immune response”. They are also able to chemically modify these antibodies and bind them to nanoparticles with defined optical, electrochemical or magnetic properties, thus converting them into nanoprobes able to detect biomarkers and generate an optical or electrochemical signal. 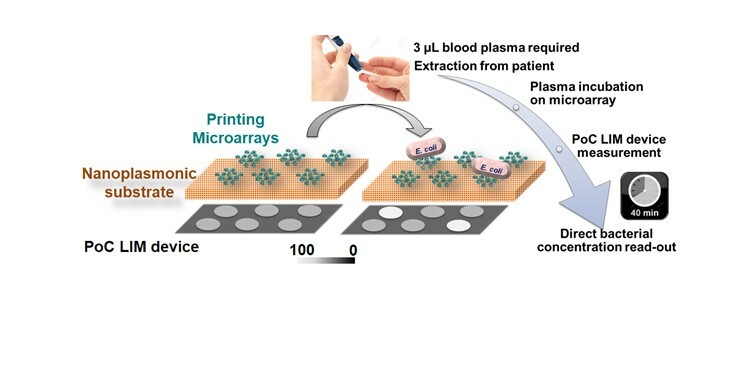 We can also incorporate them in a controlled manner in transducer devices designed based on the latest advances in micro (nano) electronics to develop a new generation of diagnostic devices, much more sensitive and reliable, capable of providing quick answers and allowing a more accurate diagnosis early and accurate.